The smart speakers are coming! Wandering into our living rooms, listening for our voice commands, pulling random bits of trivia from the web, spitting out weather forecasts, and controlling a growing number of home appliances. But they’re always listening and currently there isn’t an easy to way to know when they aren’t (apart from hitting a mute button). So how do you stop TV ads, young kids and dumb roommates from controlling your speakers and revealing your most intimate secrets? There aren’t nearly as many fixes as there should be, but take an hour and you can at least keep your smart speakers from sharing too many of your secrets, even if you can’t stop it from listening in on all of yours. The Amazon Echo is a very capable smart speaker: It can announce your schedule (from Outlook or Google Calendar), read out your emails and order pizza, depending on the skills you’ve configured to work with it. The first step is easiest, but also severely hampers Echo’s usefulness. 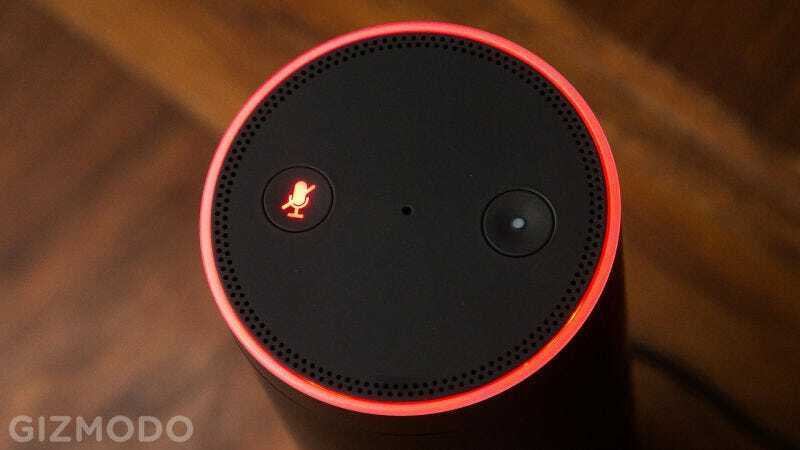 You can turn off voice input via the mute button on top of the Echo. It’s not going to stop a determined voice hacker, but it’ll work for commercials. Second, you can change the wake word from Alexa to one of four different options: head into the Settings section of the Alexa app, tap your device, then choose Wake Word. Again, not the most secure lock in the world, but perhaps enough to stop some accidents. Third, you can set up a PIN to protect unwanted purchases ordered by your kids or anyone else who wants to try and order something from your Amazon account. Go to Voice Purchasing from the Settings menu in the Alexa app and you can set up a PIN or disable voice purchasing altogether. Any PIN you configure has to be spoken out to confirm a purchase through the Echo. Beyond those steps, in terms of stopping other people from hearing your calendar details or to do lists, all you can really do (for the time being) is turn these skills off. It’s up to you where you strike the balance between convenience and privacy, but let’s hope something like individual voice recognition rolls out soon. A couple of other tips might help: you can turn on a notification sound to alert you when Alexa is listening (via Sounds on the device settings page), which might stop a few accidental commands getting through. Also, choose History from the main settings page to see if there are any voice commands you don’t recognize—just to make sure people aren’t getting crazy with the Echo while you are away. Google Home, is convenient, but also feels more dangerous than Amazon Echo. It gives you access to a lot of the personal data that’s in your Google apps and services, including your calendar and package deliveries. Luckily for the purposes of this article it just introduced the ultimate in privacy protection (at least in theory): voice recognition for multiple users. To set up Google Home to work with more than one Google account, open up the Google Home app on your phone, tap the Devices icon (top right) then the menu button for your Home speaker (three dots): pick Settings and you should see a link to set up multi-user access. If not, you need to sit tight and wait for the update to reach you. Early testing suggests this actually works pretty well and it should be enough to keep other people from searching through your upcoming schedule or reading out your emails (when Google gets around to adding Gmail integration). Other options are available if someone in your household can pull off a very good impression of you. You can’t switch up the activation phrase, but as with the Echo, there’s a physical mute switch on the front of the device which can keep TV ads and toddlers from accidentally triggering a search. You can also disable “personal results” from inside the Google Home app: tap the Devices icon, then the menu for your Google Home, then Settings. Tap More then scroll down to find the option—once turned off, no one else can tap into your calendar, throw your photos over to a Chromecast, make payments through your Google account, and so on. This being Google you can also get at your recent voice search history from your Google account page on the web. Click Go to My Activity, then use the filter underneath the search box to look for Assistant queries (this includes searches from any device with Google Assistant enabled). As on the Echo, you can check for any suspicious activity.